Thrown over jeans, layered with a coat or even just at home fighting the cold, chunky knits are my go to. They are a versatile piece that every wardrobe will adore. The knits give casual refinement and are comfortable and practical making them staples during the colder times of the year or even transitioning into or out of winter. After seeing the many knits being styled up at the runways during New York Fashion Week it is safe to say knits are not just ordinary pieces anymore. 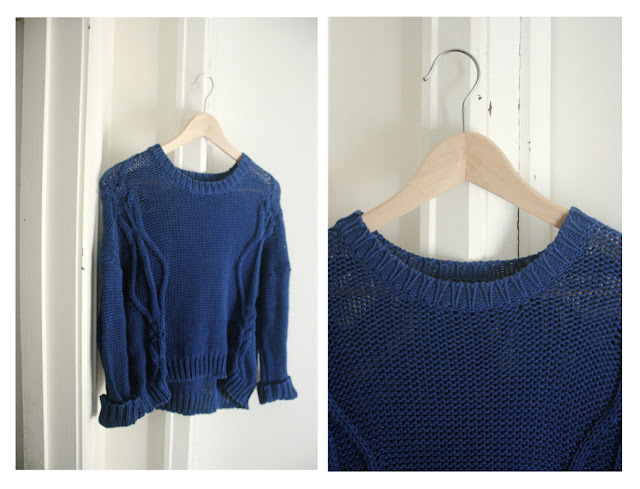 I can see some knits easily transition from day to night and would not mind one myself. However, a timeless option that I simply adore is a white cashmere knit. The colour, the softness and the warmth it will bring just makes me sigh with happiness. I just recently bought the black knit and can not wait to pair it with black jeans and boots, with the occasionally coat for warmth. The slouchiest and vivid blue knit is a favourite with skirts or just in general around the house. 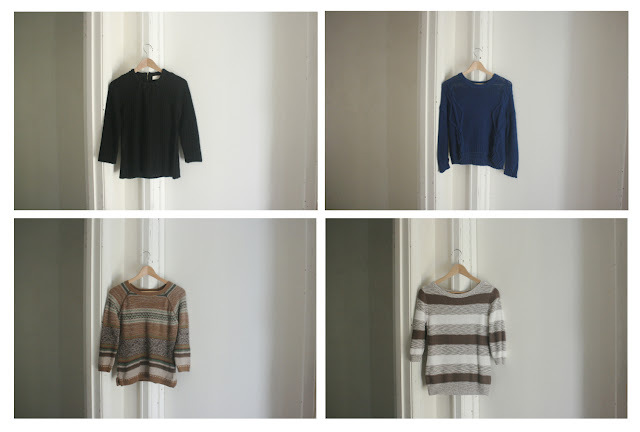 My striped knits, funnily enough are the first chunky knits I bought. I wear them so many times that I was afraid they just might fall apart! What do you think about chunky knits? Zara, Oxford, Zara and Esprit respectively. I do like a cable knit. Love knits. I splurged on a few from The Row this season and I'm in love. I am in love with The Row! So lucky, would love one of their knits! Their pieces always work for the hype of the runway but also translate amazingly into essentials that can be worn season after season, they have a timeless quality! The collection they just showed in New York Fashion Week had some of the best knitwear, coats, trousers and skirts.